This is a guide to brick and mortar as well as online casinos in New Zealand. Find out what the best casinos and online casino sites are in New Zealand, or learn more about the legal status of casino gambling in the country. This article supplements the general guide to the legal status of gambling in New Zealand. All forms of gambling in New Zealand are regulated by either the 2003 Gambling Act or the 2003 Racing Act. The latter covers betting on various sport events as well as betting on dog and horse races, while the former includes all other forms of gambling. In accordance with the 2003 Gambling Act, only the forms of gambling explicitly mentioned in either of the two laws are legal, all other games of chance are prohibited. Casino gambling is legal in New Zealand, but operating online casino gambling sites within the country is not. The 2003 Gambling Act states that all forms of remote interactive gambling is illegal, with the exception of authorised games offered by the Racing Board or the Lottery Commission. * Any gambling [conducted] by a person at a distance by interaction through a communication device is considered remote interactive gambling and is prohibited. The definition of gambling is defined as “paying or staking consideration, directly or indirectly, on the outcome of something seeking to win money when the outcome depends wholly or partly on chance;”. This means that poker, though often considered a game of skill, not a game of chance, is also affected by the prohibition. Here’s a selection of online casinos I’ve tried and recommend wholeheartedly. Choose from these trustworthy online casinos available in New Zealand, or read on to find out more about the legal status and future of gambling and casinos in New Zealand! Gambling in New Zealand is divided into well-defined categories. There are 4 basic categories; classes 1 to 4 ranging from low-stake to high-stake games. Casino gambling conducted in venues with a casino licence are excluded from this classification, as are lotteries and sports betting. Games are considered Class 1 gambling if prizes or potential turnover does not exceed $500. All entry fees must be either redistributed as prizes or go towards “authorised” purposes that benefit the community. Class 1 gambling does not require a licence. Class 2 is much the same as Class 1 gambling, the main difference being that prizes or turnover is between $500 and $5000. Also, the latter may only be run by a society, not by individuals. Class 3 gambling is markedly different from the previous categories in that legally conducting such games is tied to a gambling licence. Prizes for Class 3 gambling may exceed $5000. Lastly, Class 4 gambling covers gaming machines located outside of casinos (i.e. in pubs or clubs). Apart from the aforementioned categories, private gambling is also regulated. It is not considered a class of gambling, nor does it need to comply with specific game rules. It does, however need to fit certain criteria: All stakes must be redistributed as prizes and no commission is paid. The game must not be advertised; and all participants must have equal chance of winning. Private gambling may be conducted legally without a licence. Casino gambling is legal in New Zealand, and is regulated by the 2003 Gambling Act. However, the law states that no new casino venue licences may be issued, only those casinos are allowed to operate that were granted a licence under the previous casino gambling law, the Casino Control Act of 1990. Also, “opportunities for casino gambling” must not increase either. * This means that the total number of table games and slot machines may not grow, nor the player space available at table games. 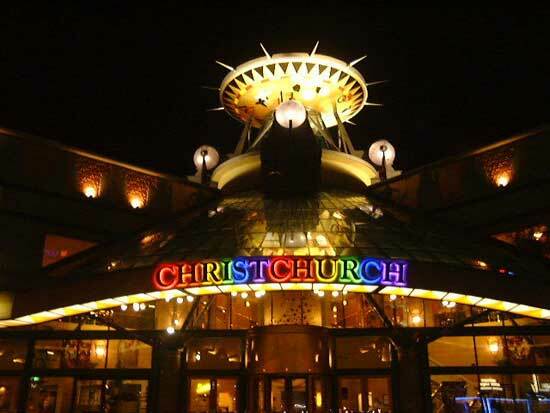 There are several casinos operating in New Zealand, most of them owned by Skycity Entertainment Group. Casinos are excluded from the previously mentioned gambling classification, and constitute a category of their own. Sports betting conducted in casino venues need not adhere to casino gambling regulations, supposing the games were authorised by the Racing Board. Casino gambling is regulated by the Gambling Commission which issues and renews casino licences. Casinos in New Zealand must comply with specific game regulations. Both the types of casino games and their respective rules are set. Casino games in New Zealand are divided into two categories; table games and “other” casino games. The latter group includes slot machines, keno, bingo and racing games (horse race betting). Table games cover numerous casino games; including but not limited to poker, craps, baccarat, blackjack and roulette. The 2003 Gambling Act prohibits remote interactive gambling and the advertising of such games. The only exceptions from this rule are lottery type sales promotions and certain approved forms of remote interactive gambling conducted by the Lotteries Commission or the Racing Board. The Racing Board that regulates sports betting in New Zealand operates an online sports betting site called TAB. The main profile of TAB is greyhound and horse race betting. Tab also offers live, “trackside” betting. Aside from races, wagering on various New Zealand and international sports events is also available. Sports to bet on include soccer, american football, basketball and tennis, as well as sports more specific to the area such a surfing. The Lotteries Commission of New Zealand operates the country’s national lottery, Lotto New Zealand. Profits from the games go to sporting and cultural agencies. The Lotteries Commission operates MyLotto, the only website authorised to sell lottery tickets online. Games on offer include keno, powerball, and other numeric games. In accordance with the 2003 Gambling Act, only these forms of online gambling may be conducted in the country. However, it is perfectly legal for locals to play on offshore online gambling sites of any kind. This means that New Zealanders – Kiwis – are free to play on any online casino, sports betting, lottery, etc. sites available to them. Gambling has a long history in New Zealand. The most popular form of gambling on the islands had long since been horse racing, and betting on such events. The first race meeting was held in the Bay of Islands in 1835. * The automatic totalisator, the “tote board” was invented by New Zealand-born engineer George Julius. In 1910 bookmakers were banned from horse-racing meetings at the behest of Protestant churches. Still, betting on horses remained the most popular form of gambling in New Zealand. Sports betting was taken over by the state in the form of the Totalisator Agency Board (TAB) still in operation today. By the end of the 1980s, gambling regulation became more lenient as various forms of gambling were legalised by a series of laws: lottery in 1987, slot machines in 1988 and, finally, casinos in 1989. The aim of these changes was to reduce betting on horse races. This proved somewhat counterproductive, as the state-run TAB responded by introducing betting on other sports events. Today pokies make up the largest percentage of the about $NZ 2 billion spent on gambling, with casinos following suit. Betting on horse racing and other sports accounts for only 18% of the sum. Simon’s Guide to Land-based and Online Casinos in New Zealand is part of Simon’s Online Casino Guide. A guide to the legal status of online gambling, including casinos in New Zealand, as well as other online gambling opportunities and the history of gambling and casinos in New Zealand.